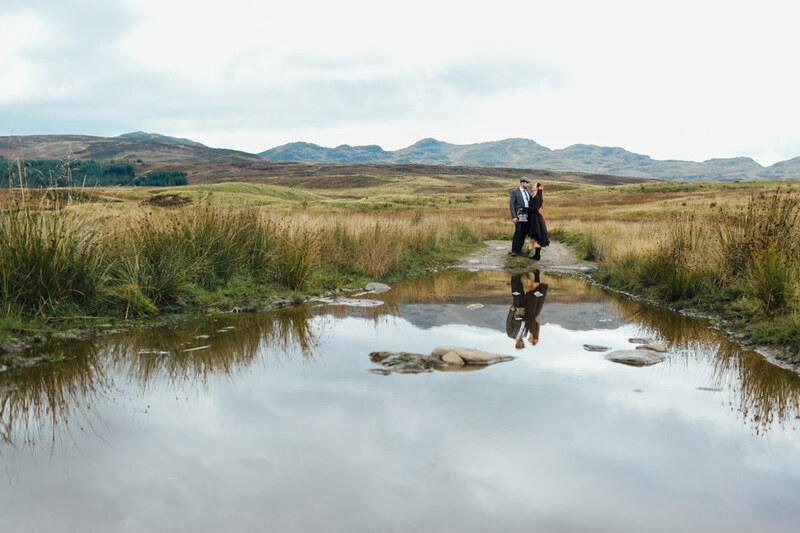 From August 2014 to November 2018, sixty powerful images will be publicly exhibited around the UK and then internationally; bringing the centenary of the Great War to tens of millions of people in their own communities 24 hours a day. You can find more information on the amazing exhibition at fieldsofbattle1418.org. If you’re interested in prints, they can be purchased online here. 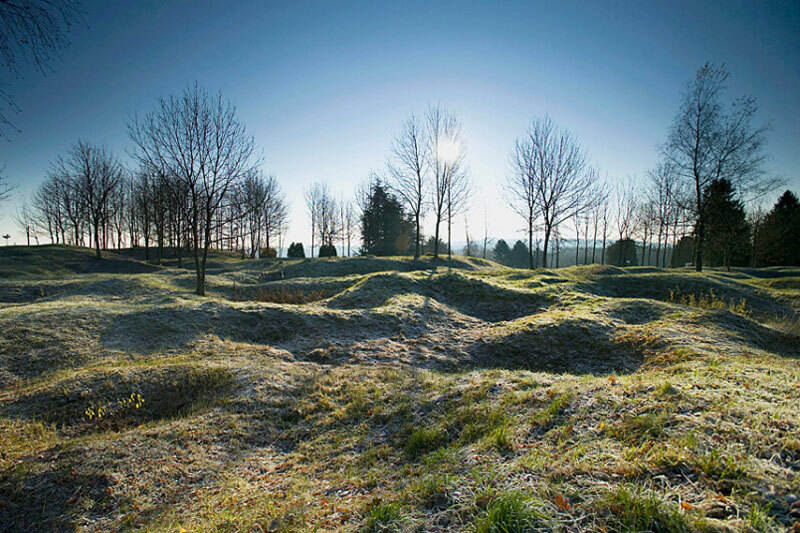 The landscape of the Newfoundland Memorial Park, in Beaumont Hamel, with trenches, shell crater and wire pickets. 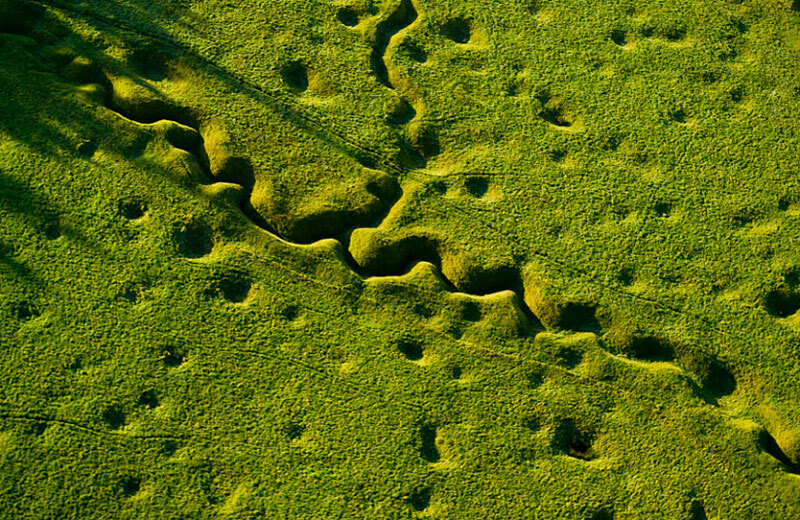 Part of the Somme battlefield, the battle began on 1 July 1916 and ended in a muddy quagmire in mid-November; the Allies having advanced only five miles (8km). The Newfoundland Regiment, nearly 800 men, was virtually wiped out on the first day. 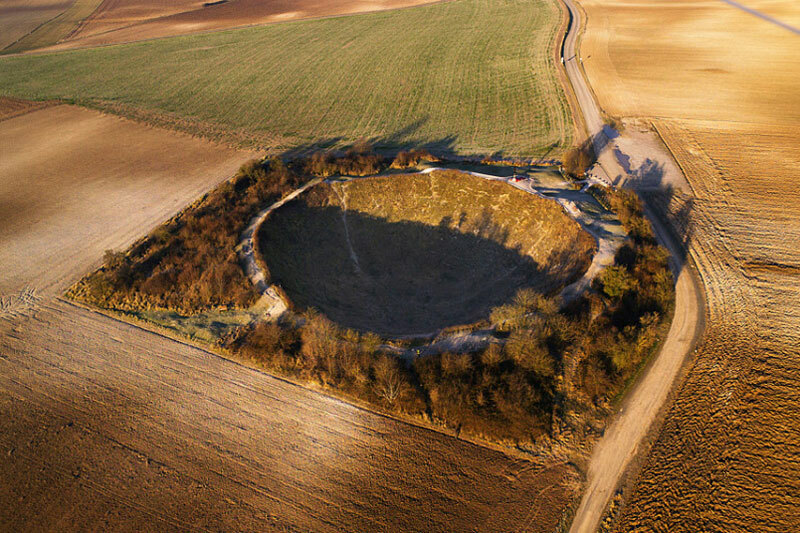 Lochnagar Crater is one of the iconic remnants of the Somme battlefield and just as in the war, one can really only appreciate its true scale from the air. Created by British tunnellers who dug a 600 m (0.37 miles) tunnel to reach a point under the German lines where they then placed 50,000 lbs of high explosive which was detonated at 0728 on the 1st July 1916 creating a hole over 90 m wide (295 ft) and 30 m deep (98.4 ft). 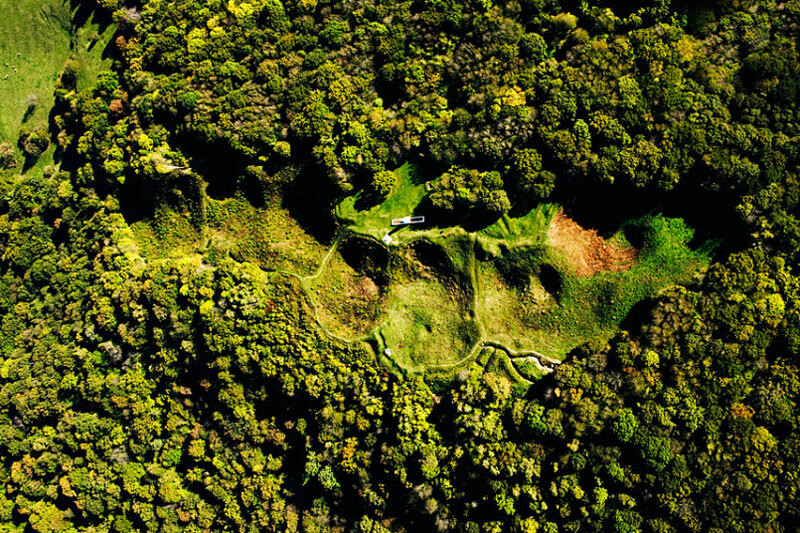 The Butte itself is a steep-sided hill which was the site of a village which was captured by the Germans in September 1914. Subsequently the French gained a foot-hold on the summit and both sides began a campaign of mining which lasted until February 1918. The furious mining and counter mining blew away the entire hill-top and today the small village lies at the foot of the hill. Underground there are approximately 17,000 metres of galleries, the deepest of which is 104 m, and over 150 chambers and rooms. One of the mines planted here contained over 60 tons of high explosive and was the largest single mine explosion on the Western Front. The photograph above clearly shows the nature of the fighting: the curving line in the bottom centre of the frame is the German front line and the white edifice above that marks the French front line which at this point is about 40 metres distant. 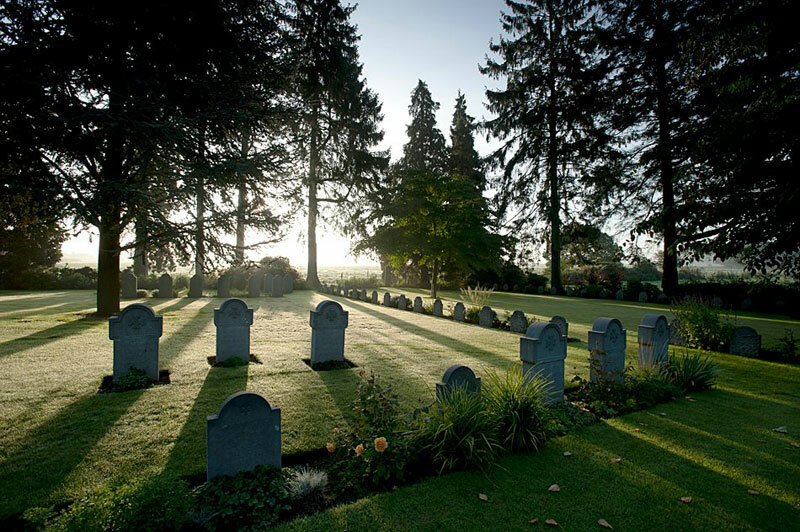 Established by the Germans after the battle of Mons in August 1914 is contains both their own dead as well of those of their British adversaries. Indeed the first British soldier to be killed in combat, Pvt. John Parr is buried here and by an odd quirk of fate the last two Commonwealth soldiers to be killed in the war are buried here. This cemetery embraces so much of the 1st World War: the first and the last, former adversaries lying side by side in what was originally a potash mine but which is now a cemetery of real beauty and tranquillity. In all truth here can be no beauty about death in war but here in this cemetery one is hard put to think of other words other than “beauty” and “tranquillity”. I think that this is perhaps my favourite view of the Western Front … as one stands there one cannot but be humbled by the spirit and endurance required of the soldier in battle. You cannot really understand a battle without viewing the ground on which it was fought. Part of the process is intellectual: to see how ridges provided fields of fire and woods offered cover. But, part of it, too, is emotional. 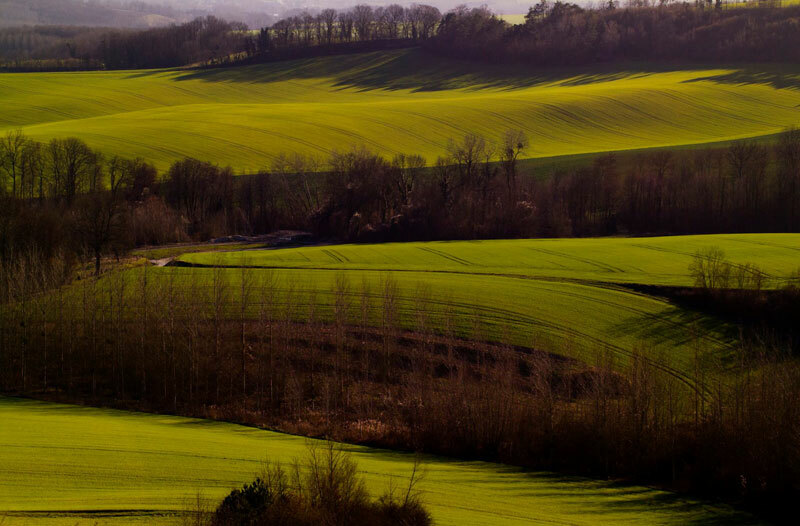 This landscape was once peopled by soldiers, embedded deep in the seams of the soil. All those elements are to be found in this landscape. When I look at it my throat tightens as I think of the brave spirits who died fighting on these slopes. Here is the story of war, the essence of which we are seeking to tell.